After Jen and Jack left on Sunday we hung around Emerald Bay Marina for a few days waiting for the weather and for friends to catch up with us. We had a terrific visit with Kolibrie (Pat and Wayne) and Azaya (Mary and Axel) and met new friends, Harry and Maryke on Aurora, an IP 380 they have sailed from Holland over the past 11 years. We left on Thursday and travelled with Aurora over to Calibash Bay on the north west tip of Long Island. On the way over we snagged a 36 inch mahi so we were able to invite Harry and Maryke over for dinner. Pam made a delicious dinner of grilled mahi with beans and rice and a great salad. Calibash Bay, along with every other beach around here is said to be one of the most beautiful beaches in the Bahamas/Caribbean. 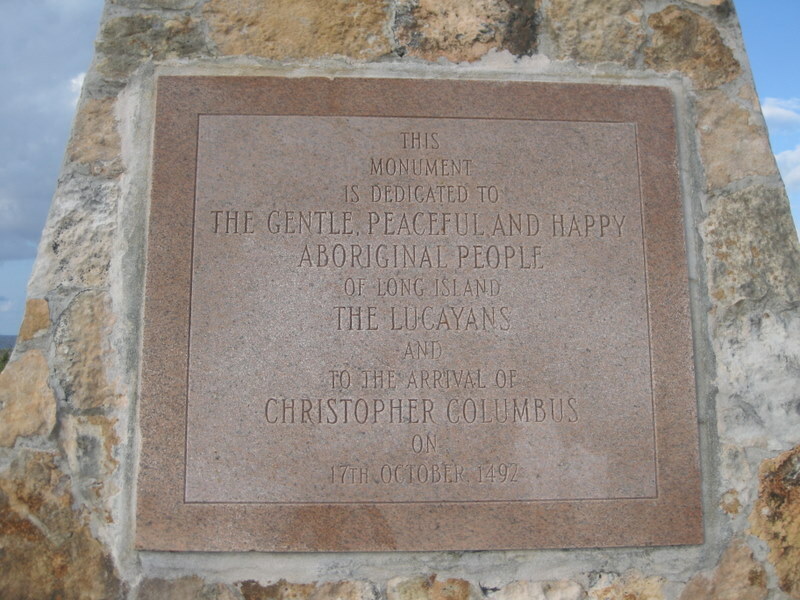 We spent a slightly rocky night and left the next day for Thompson Bay, Long Island. 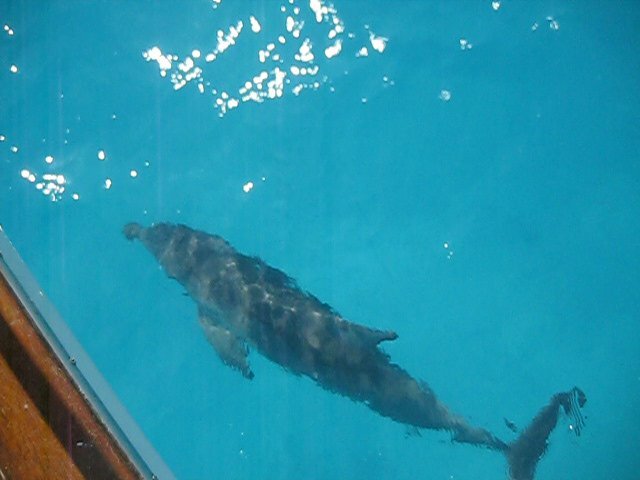 On our way down, we were greeted by Long Island Larry – a dolphin, at just about the same time that we crossed 23 degrees, 30 minutes - the Tropic of Cancer. We arrived with the “fleet” – about 25 boats came in on the same day for some reason. Sid and Bo – the Australian Shepherd (dog, that is) from Quest were here and we made arrangements to rent a car with them the next day. In the morning we had our coffee and went up to rent the car – a little tiny thing but great for three humans and one dog. 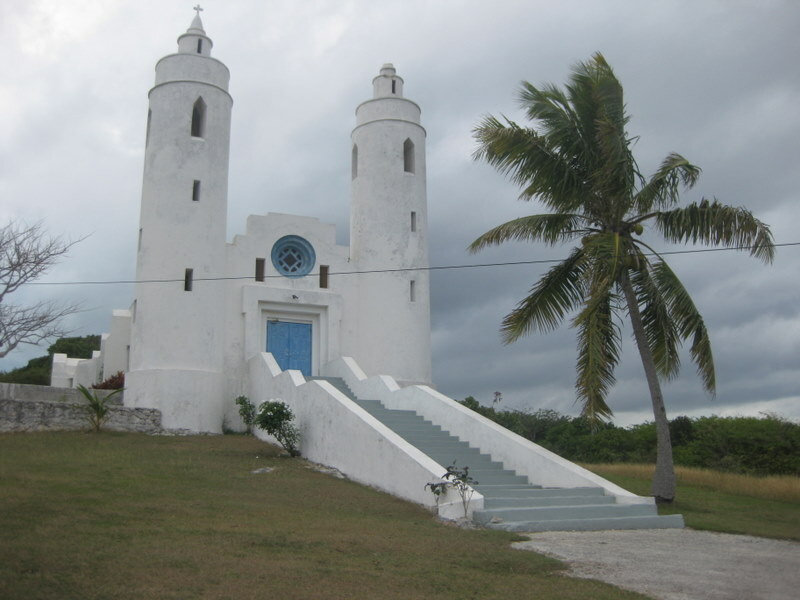 We drove down the island slowing at all the settlements – Salt Pond, Grays, Deadmans Cay, Scrub Hill, Hard Bargain, Clarence Town and many, many more. We were looking for Deans Blue Hole, and finally, after we had given up, we found it – clearly marked by a road sign just as some locals had predicted. Watching divers entering the blue hole. Deans Blue Hole is breath taking. You should google it! The ocean was pounding the shore but the blue hole is protected by a spit. The blue hole is charted at over six hundred feet deep. It is the weirdest thing, how you can get spooked out knowing that the water beneath you is so deep. In fact, the whole shoreline is undermined by the blue hole. 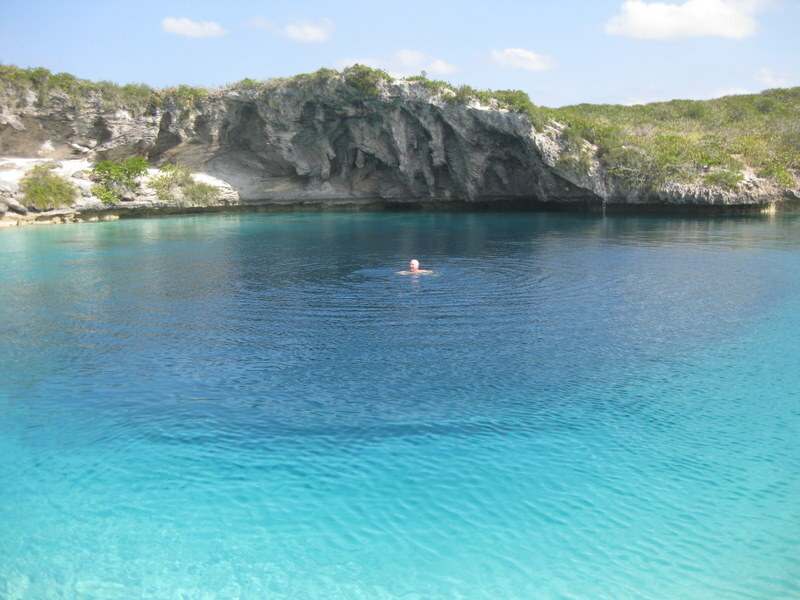 Some divers told us that the visibility on one side is restricted as the sand falls off the side and pours down into the blue hole like a curtain. This must be one of the most beautiful beaches in the Caribbean. Swimming scared in 600 feet of water. 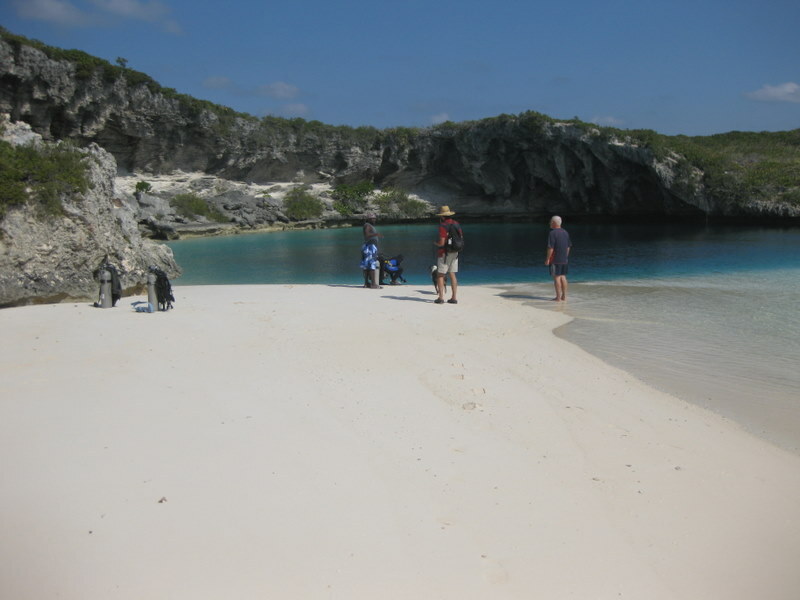 We left Deans Blue Hole reluctantly, but we knew we had more ground to cover before dark. We found a benefit cook-out going on in Clarence Town – for Dorothy Knowles eye operation in Cuba – and supported the cause by buying conch fritters (6 for a dollar) and dinner. After a tour through town (about 8 houses and a couple of churches) we headed on south until we hit the final stop sign at Gordons Beach – one of the most beautiful beaches in the Caribbean. 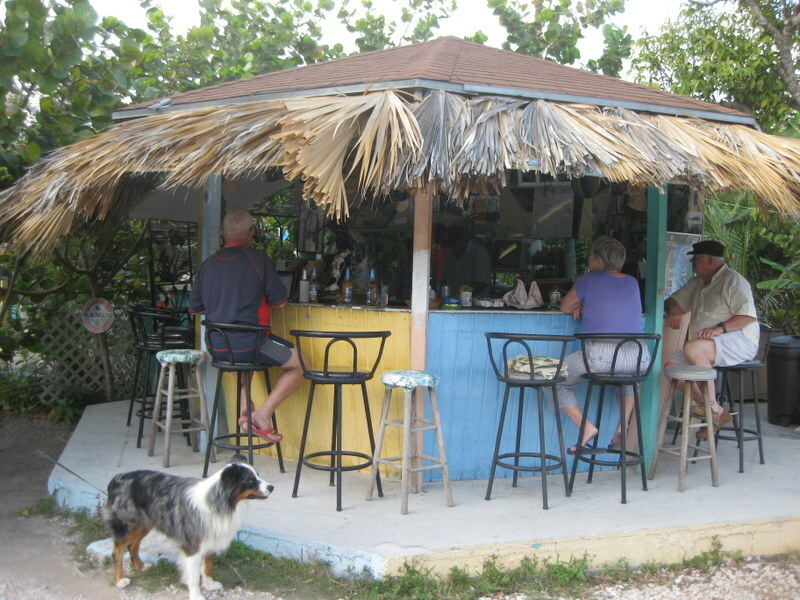 After a short walk, we headed back and stopped at Max’ Conch Bar for a beverage and a conch salad. It was only 6 when we got back to the boat but we were exhausted. Watched a short movie and went to bed. On Sunday we got up early and got our car for the four hours remaining on our 24 hour contract. 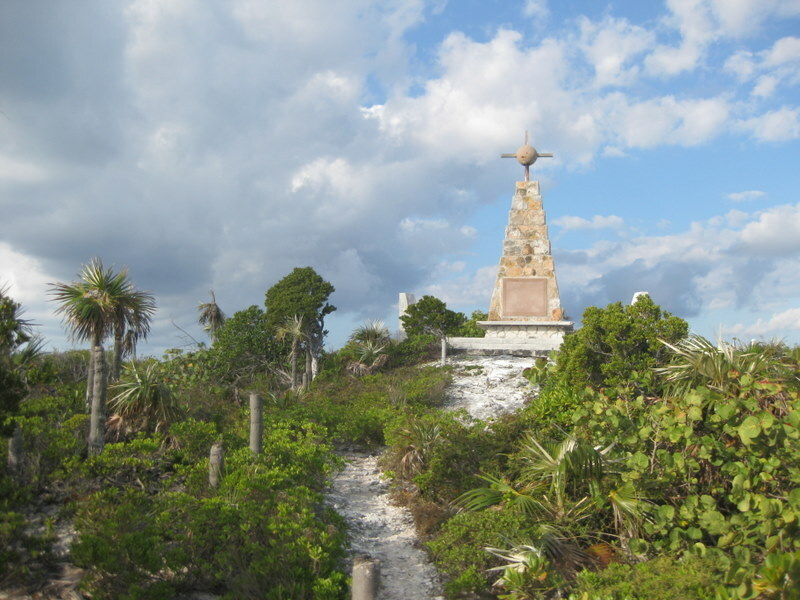 We raced up the island past the settlements of McKanns, Millers, Simms, Burnt Ground and Glintons to the Columbus monument, adjacent to one of the most beautiful beaches in the Caribbean and then headed back to drop off the car. 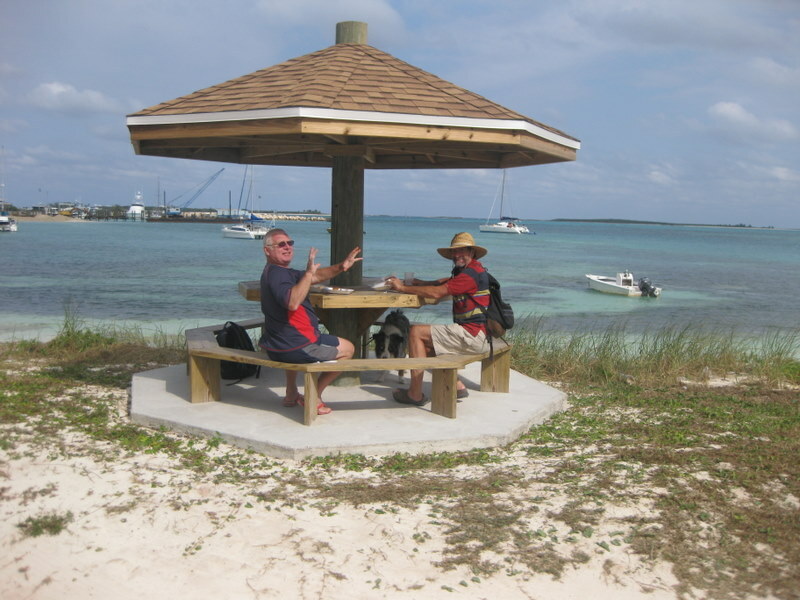 After refreshments, we headed back to the boat for a nap and to prepare Bahamian Boiled Fish for dinner. We are at a crossroads… we don’t know where to go next… so we are going to stay here awhile longer until we are inspired to move somewhere else. The ugly side of paradise! Great pics. 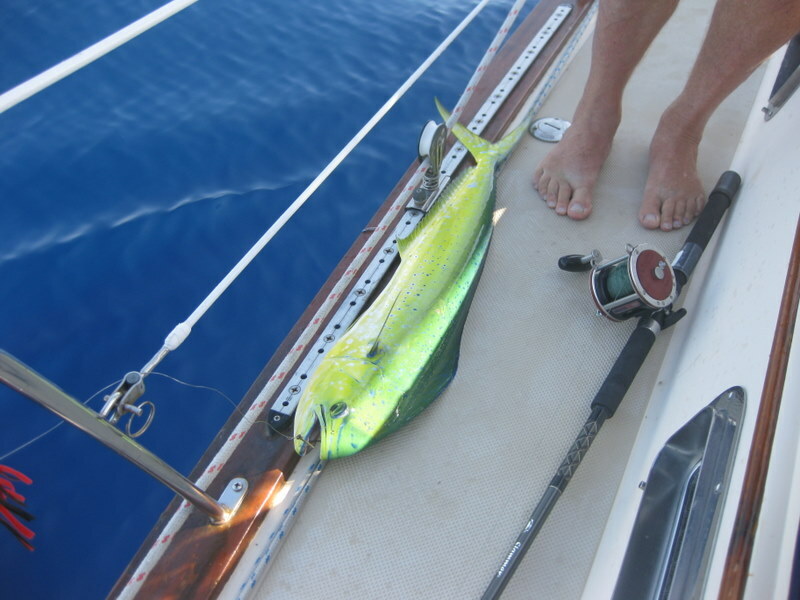 The colour of the mahi is fabulous. You didn't mention if this was your first trip to Long Island. 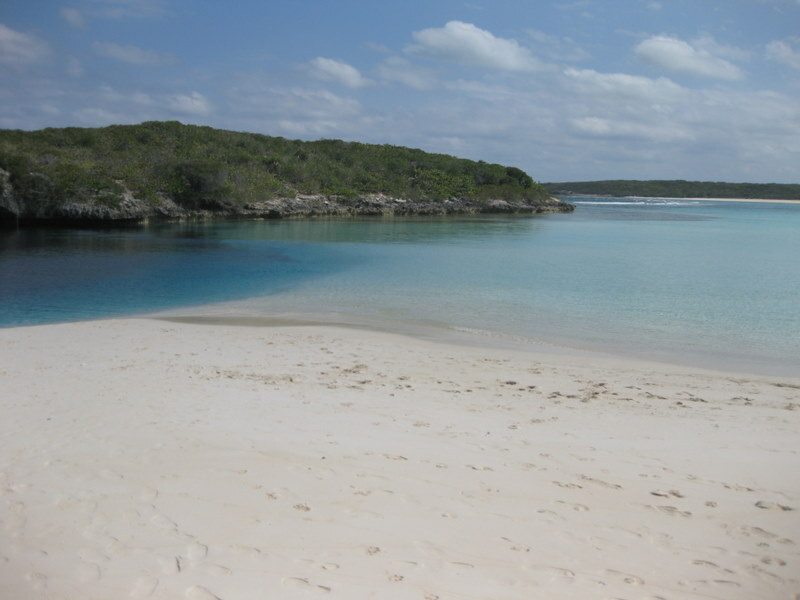 Funny how the greatest beaches in the Bahamas are all within a one day drive. We are following along on the map and look forward to seeing where your next inspiration takes you! Loved the colour of that fish - don't envy you at all the tough decisions to make - where to go next, how long to stay, what to eat .....NOT!!! Wish I was there. "The greatest beach in the Caribbean"
Ya, ya, ya...they're all the "greatest" or the "most beautiful". I'd love to see what the worst beach in the Caribbean's like! You're keeping real busy, pictures and details great. Time to relax a bit. Maybe Patti and I could fold ourselves into a trunk and ship ourselves down . . . what do you think? I admit it, I'm totally green with envy. I love that all the beaches are one of the most beautiful beaches in the Caribbean. I wish your blogs were longer, could you work on that? You're right... most of them are wonderful. 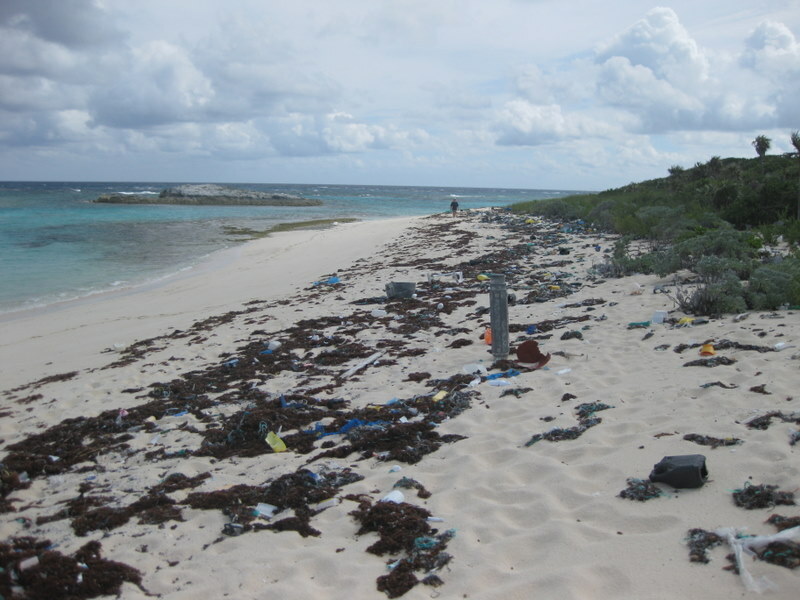 But... when you walk over to the windward side of many of these islands it looks like the world's dump for plastics. Netting, plastic bottles, fish floats, broken boat parts and a variety of broken plastic boxes all pushed to the high tide line. Not sure where it comes from but on those windward beaches you can also find sea beans from Africa so it could come a long way. It is such a shame and makes us want to adjust our lifestyle back home. I've updated the blog with a photo.